The Dutch Competition Authority (NMA) raided the offices of mobile carriers KPN, Vodafone and Deutsche Telekom's T-Mobile on Tuesday as part of a probe into allegations of "cartel" practices, including sharing of market information and price fixing relating to the mobile services they offer in the Netherlands. The investigation is rumored to have been prompted by two whistle-blowers, one of which is said to have been a previously fired former director at one of the companies, and the other a current board member at one of the telecom providers. All three mobile providers issued statements confirming officials had visited their offices and that they were all co-operating fully with the investigations. The Dutch market leader, KPN released a statement saying its offices in The Hague were raided at 08:30 local time on Tuesday, and five employees were being questioned. 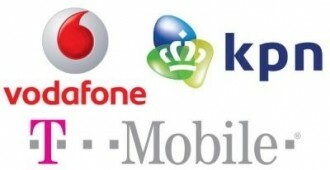 According to Reuters, they stated that the authority was specifically investigating "collaborative practices for consumer mobile telecommunications packages as well as KPN's sales channels." In August 2001, an investigation was launched into alleged price-fixing practices that resulted in KPN recently being fined €7.93 million. T-Mobile received a €4.6 million fine and Vodafone, €3.72 million. In other news, U.S. wireless carrier AT&T was yesterday voted worst mobile carrier for the second year in a row according to results from subscribers in a satisfaction survey by Consumer Reports. The survey polled 66,000 mobile customers asking them about customer service and customer support experiences with contract and non-contract providers. Verizon was the best wireless provider for the second year in a row.